We are situated in the heart of Brickendon, 1 Brickendon Lane to be precise at the north east corner of the village green. We are a short five minute drive from the centre of Hertford, it’s just 30 minutes to Stevenage, and less than 25 to the M25. Welwyn is just 20 minutes away and Broxbourne is less than half that, just nine minutes away! We have a large customer car park right opposite the pub. Bayford station is a short 12 minute walk from the pub. It is on the Great Northern Line(Hertford Loop) with regular direct trains from Moorgate, Finsbury Park, Hertford North and Stevenage. On exiting the station turn left, cross the road and follow the footpath into the village. Trains operate on a half hourly basis, seven days a week. You can view departures and arrivals for Bayford here. Travelling to us by bus couldn’t be easier. We have a bus stop right outside the pub and it’s even named after us. 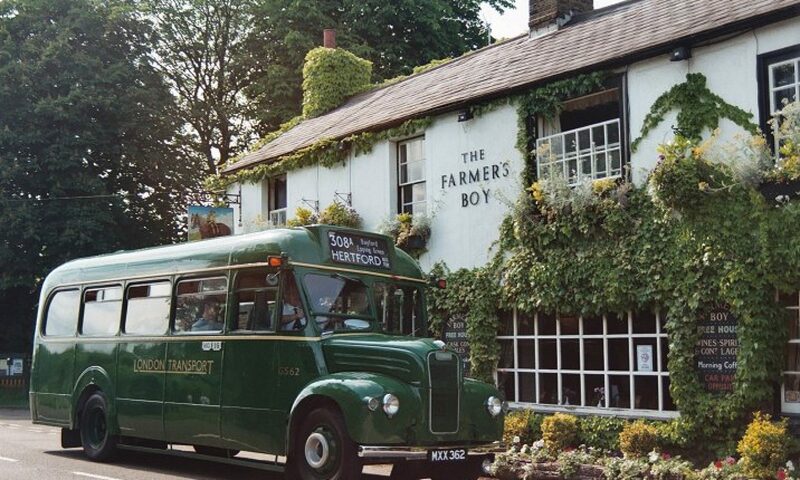 The Intalink 308 service connects us with Bayford Village, Cuffley, Epping Green, Hertford, Horns Mill, Little Birkhamstead and Newgate Street. View the Monday to Saturday timetable here. We are on a number of walking paths and recognised routes, we plan to give you more details soon. However our map reference is: Map X174, L166, Ref:TL323080). 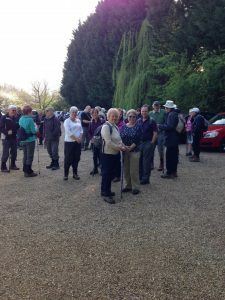 There are plenty of woodland walkways, footpaths and bridleways nearby passing through such places as Monks Green, Cowheath, Bencroft and Wormley Woods. We have a tethering post for horses, bike racks and even a cycle maintenance station located at the pub.